An insider's take on the spin industry. I’ve been a PR flack for 30 years and a Glock owner for just a few months. In fact, my Glock 19 is the first firearm I’ve ever purchased. But after witnessing firsthand the potential public relations crisis surrounding the Sig Sauer P320 semi-automatic pistol, I’ve decided that I’m going to buy a Sig. I didn’t make this decision lightly. (I understand from reading countless firearms forums that allegiance to a firearm brand can rival allegiance to a beloved sports franchise.) But I’ve read enough to know that Sig Sauer firearms in general, and the P320 specifically, are among the safest handguns on the market today. And Sig’s handling of this situation tells me that they care as much about the safety and integrity of their products as they do about their sterling reputation. And they are willing to do whatever it takes to preserve both. Unless you’ve been wearing your ear protectors all week, you’ve heard about a video that shows the Sig P320 firing when dropped at a certain angle. Omaha Outdoors, which produced the video, was quick to point out that the P320 and all of Sig Sauer firearms meets and exceeds all U.S. standards for safety, including the American National Standards Institute (ANSI) and Sporting Arms and Ammunition Manufacturers’ Institute, Inc. (SAAMI). But the fact is, at a very specific angle, the P320 does appear to fire when dropped. Frightening stuff, right? Not really. First, as Sig points out on page 25 of the P320 owner’s manual, “Although extremely unlikely, it is still possible for any loaded firearm to discharge when dropped.” That includes Sig, Beretta, Ruger, even my Glock. In fact, Glock has its own problems associated with having to depress the trigger when disassembling it—an issue that the P320 owner never has to worry about. Does that mean I’m going to stop firing my Glock? Not likely. I’ll just be extra careful when I take it apart. And other pistols have other safety “issues” that the P320 does not. Some 1911 owners, for example, often install extremely light triggers to improve accuracy which, while rare, can lead to unintended discharges and serious legal consequences—issues that P320 owners simply do not have to worry about. Looking at this issue from a PR perspective, I was really impressed with the way that leading firearms bloggers and correspondents comported themselves. As someone who is brand new to this community, I saw an amazing amount of fact-based, informative reporting on what could have been a volatile issue. The fact is guns are inherently dangerous, which is why all responsible gun owners practice safe gun handling. And that’s also why responsible gun owners have made Sig Sauer one of the most popular firearms company on the planet—because compared to other leading gun manufacturers, their safety record is outstanding. I’m looking forward to hearing the details of the Sig P320 voluntary upgrade on Monday. 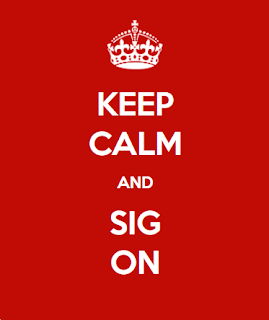 In the meantime, I plan to keep calm and Sig on. I do love Sigs and HKs in particular. Special Forces chose the Glock 19 so how can you go wrong? That said, I've not had any issues with any of my firearms. No, government accounts chose the Glock 19 because Special Forces can use whatever weapon they want and often choose a personal weapon and stick with it. If a gun is just going to stay on the shelf, why not choose the cheapest one possible? Naval Special Warfare Command selected the P226 MK25 - I have one (and a P220) and it will be the last weapon I ever part with. Just a superb example of German - Swiss design and American manufacturing. I have read a good around Facebook on this with this Sig 320.. You mentioned n true that any loaded firearm can fire if dropped. I am wondering if anyone has done any outside testing on others like this outfit did with this Sig. The other to keep in mind here is a potential bias on the part of Omaha Outdoors. They are HUGE Glock fanboys. I agree that Omaha Outdoors are biased. Title of ambition Clock beat Sig. I own both G19 and P320 along with a .attending on 1911's. Never had a problem. Most gun owners do not intentionally drop there firearm multiple times st ODD angles and heights to mskevir go off. You can do that with most any handgun. I own two P320's, multiple Glocks and various other assorted pistols. I love them all and have never had any safety issues with any of them. 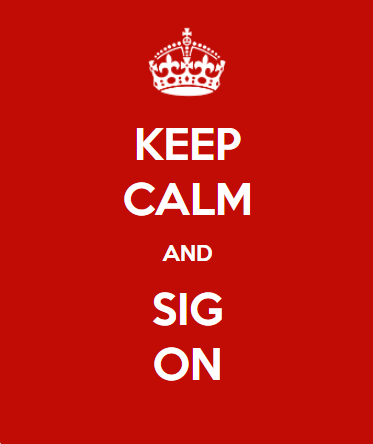 I also think Sig has responded appropriately.